Digital Disciple Network Associate individual membership is free and by application/invitation. We are building a network of individuals who want to contribute to the evolution of technology applied to catechetical and other ministry settings. If you are interested in applying for individual membership, simply fill out our online information form and we will get back to you. 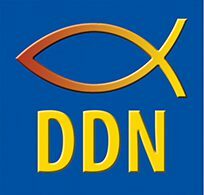 The mission and purpose of DDN Associates focuses on forming a network of early adopters, creative thinkers and ed-tech developers in the arena of faith-based educational technology who are interested in collaborating to create and curate open-source, open-access resources and training for ministers. Our services and products will enable ministers to be trained in digital technology and to communicate the Gospel in a 21st Century digital world, all at an affordable cost to the end user. If you are already involved with digital training at the diocesan or parish level and are interested in collaborating with us, please consider becoming a DDN Associate. You will contribute to fast-paced, fun, and creative online initiatives with a highly talented, faith-filled team of individuals who are versatile, disciplined, and enjoy a challenge. You will have the opportunity to teach online, develop new online products, and hone your skills in emerging areas of Web 2.0 technology, and thus serve the Church at grass roots as well as leadership levels for the 21st Century. Who should consider this invitation? You will participate in an environment rooted in Ignatian and Franciscan spirituality. You will develop cutting edge skills in online technology for faith settings. You will develop relationships with colleagues who have the same passion for technology and ministry. Your teammates will support you through challenging times. You will gain experience as a mentor, coach and teacher. You will deliver presentations online using webinar technology. You will be a missionary of the Digital Continent. You will help to create a culture of “respect, dialogue and friendship” in the online environment. You will have the opportunity to publish your original creations online in a way that will have visibility and impact. You will help create a personal learning network (PLN) for others in this field. You will see how faith-based educational technology training empowers others for ministry. You will help facilitate and drive new ideas and concepts to define technology standards for 21st Century ministry. We are looking for self-motivated collaborators who are interested in being part of this worldwide team. The specific qualities we are looking for are listed below. APPLY NOW to become a DDN Associate! Use the Contact Us page to let us know you are interested OR fill in our online information form.